How To Use A Drain Snake? When a drain gets clogged, you have two options to unclog it. You can either use any form of drain opener solution. Use any mechanical equipment to unclog the drain. A lot of people opt for mechanical method instead of chemical method because chemical methods might be harmful for people and environment. Moreover, the mechanical methods are considered more effective than any chemical method. There are numerous tools for unclogging a drain with tools. One such equipment is called drain snake. It is usually the final option that is chosen by people when plunging or opener solutions does not work. What is a drain snake? How to choose the right drain snake? 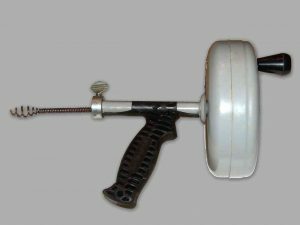 It is a long cable like tool that has a spiral wire at one end and a handle like auger, at the other end. The spiral end has to be inserted into the drain and the auger would stand as a handle with which the snake has to be twisted to grab or break the clog. Once you get hold of the clog, you should pull it out slowly. The process of using a drain snake depends on the type of the snake. There are basically two types of snakes namely; manual snake and electrical snake. Are you someone who is using the equipment for the very first time? Do you want to know more about the method of using it in detail? Keep reading. The snake is a slender and long wire like structure that it could fit into any common styled drain hole. Push one end of the snake into the drain and turn the handle. This movement would coil the snake through the drain. Keep sending in the snake till you find a resistance for the movement of the snake. There can be two reasons for this resistance. The first reason could be the structure of your drain pipe and the second reason is the debris which has been clogged inside the drain. If your drain pipe is U-shaped, the snake would obviously feel pressure when it hits the curve. Now, crank the handle by applying pressure. Thus, you bend the snake to fit the shape of the drain. If the resistance is due to blockage, start rotating the snake. The clog will get attached to the snake. You can either spin it and pull it out or chop it off, so that it will get drained out. If the clog is due to some heavy solid object, entangle the object and pull it out. 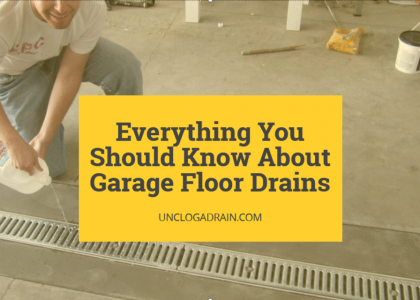 You should be a little familiar with the structure of your drain pipe. If you push harder on the areas where you have a curve in the pipe assuming that the resistance is due to some debris, you would end up damaging the pipe. Once the clog is removed, let the water run in full force for a few seconds. Sometimes, the clog you remove would just be a part of the complete debris. Full speed water gushing into the drain would be enough to chop off the remaining parts of debris and push it through the drain. As the name indicates, this type of snake is driven by electricity. It is almost like a power drill. An electric drain snake is commonly used when the clog is too thick and resistant or, when the distance between the block and the mouth of the drain is very high that cannot be scaled with a normal snake. How to use electric drain snake? Position the cable and machine. The machine should be at least two feet from the clogged drain. Now, slowly insert the cable into the drain opening and push as much as possible. The cable you hold is usually 12 inches long. Push till the complete arc of cable is inserted into the drain. Now, switch on the machine. The machine will have a foot switch so you can easily guide the cable using your hand while operating the machine with your foot. If the cable experiences any resistance, pull out the cable, a little and then, try again. You can add another arc of cable, if required. When the cable reaches the end of the drain line, switch on the reverse button and you can retrieve the cable. Once the cable is removed, let the water run in full speed, for a few minutes. The water would gush out any remains of the clog attached to the pipe. Do not push the cable with force. The machine you hold is similar to power drill. You may end up damaging the pipe line. You need to move the cable back and front till the debris is broken. If you are not comfortable with the snake, it is better to call a professional. There are a lot of places to rent an electric snake if you are not interested in owning one. 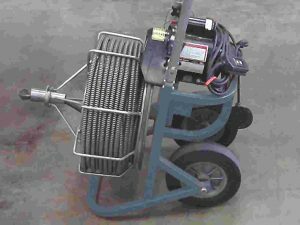 Commonly sewer drain auger or snake is used by professionals who deal with bigger problems in the main line drainage system. This drain snake is used for clearing debris in the main line of drainage. If you are planning to clear the clog in your sewer, you can use this snake. It is usually better to call a professional for this job. Position the snake near the opening. Insert the cable into the hole for a few feet and then switch on the machine. When you hit a tough clog, you need to backup to avoid kinking the cable. Retreat the cable and then move the cable front and back till the clog breaks down. Do not force the cable through the clog. Once the clog is removed, pull back the cable and let the water run for several minutes to make sure that the clog is completely removed. The best way to use a drain snake is to make sure you know the common mistakes that people commit while using one and avoid them. It may look very simple. Yes, it is just a long line of wire like tool. The drain auger or drain snake is a very effective tool but, mastering it takes a lot of time. Thus, it is common to make a lot of mistakes while trying to unclog your drain and you may even crack or break the pipes. A lot of people use unbent hanger, instead of a drain snake. It is a brutal mistake that can cause serious damage to your pipes. Though it sounds similar, an unbent coat hanger or any similar tool is not the same as your drain auger. Do not end up damaging the pipe by wedging the hanger in the drain. A manual snake would not cost a lot and do not end up paying more for damaged pipes. Inserting cable takes a lot of time and it might be frustrating. But, if you insert it fast, you might push the clog deep into the drain and end up having to rent an electric drain snake or call a professional. You might even damage the pipes with fast action. Forgetting the branch pipe is a common mistake. The clog might be in the branch pipe that is attached to the drain pipe. Remove the fitting so that you can auger the drain and reach the element that is clogging the pipe. Inserting and removing might break the clog and clear the debris. But, if you forget to twist the auger like a corkscrew so that you would not be able to completely remove the debris. Remaining debris would again start to collect more waste and clog your drains very soon. Every drain tends to get clogged, every now and then. Do not use electric drain snake very frequently. Use it only when it is needed else, you would be damaging the pipes more often. With electric snake, you can easily damage your pipes. It is better to call professionals. This is very common in cases where the pipes are already damaged or weak. If you are using gloves (it is recommended as you would be touching the cables that had been inserted into a drain pipe), it is better to avoid latex. The cable grabs the gloves and would rip them off. Use work gloves. Using the floor drain in the tub is another mistake. If you are using the drain snake for unclogging your tub drain, feed the auger through the overflow drain that is found a little above the drain on the floor of the tub. Using the overflow dent would make sure that the cable is not inserted into the air vent. The cable has to go down the drain. If you think that a tree root is the cause for the blockage, you should not perform any snaking. Leave it to professionals else, you would end up damaging the pipe. We all know that using a large snake for a pipe would damage the pipe. Thus, people always prefer to use the smallest snake for all pipes assuming that it would be a safer option. In reality, a snake that is too small for a drain would do more harm than unclogging the drain. If you are using a very small snake for a large drain pipe, it would also damage the pipeline as it tends to move a lot inside the pipe line. You should always choose a snake size which would suit the drain that is clogged. As stated before, most of the problems arise due to not having the right snake for the job. This session would help you pick the right snake. Should you spend more money on a power snake or will a manual drain snake be enough? The power snake or electric snake is easier to use and also suits all sizes of pipes. But, if you are planning to use it for shorter drains and bore pipes, you can stick with manual snake itself. 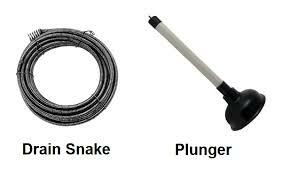 There are power snakes for small drains like sink and lavatories. If your main sewer has constant problem, you need a sewer snake. The head of the snake is the one that pushes or pulls the debris out. If you do not have the right head, you would end up spending a lot of energy for nothing or, end up damaging the pipes. A screw or coil type head is used for pulling out the debris. 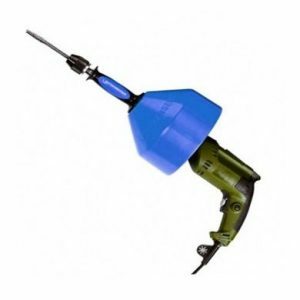 For cutting and breaking down the debris, you need a cutting head drain auger. Using a cutting head for pulling out the debris or using the spiral head to cutting through debris can render a useless work or may damage the pipelines. 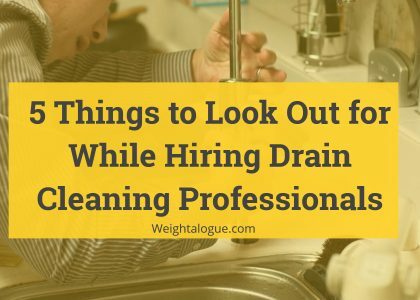 It is understood that you are planning to unclog your drain by yourself. If you end up damaging your pipeline, you would be spending more money on repair than you would have incurred for unclogging by professionals. Thus, it is important to learn the right way to use a drain snake. It might look like a simple tool without any complexity. But, there are a lot to learn about the drain auger and the ways to master it. It also needs patience to remove the clog without any major damage to the pipe lines. To sum up, a drain auger or snake is a long wire like structure with either a coil or a cutting head on one side and a handle on the other. Insert the snake into the drain that is clogged and try to cut or pull the clog. You can also use electric snake which is very similar to manual one by the insertion and removal of cables are done through electricity. Once the clog is removed, water should be let out in high speed to make sure that the drain is perfectly unclogged. To avoid major build up of clog, it is better to use the drain snake to remove the built up clog at least once a month or once in two months.